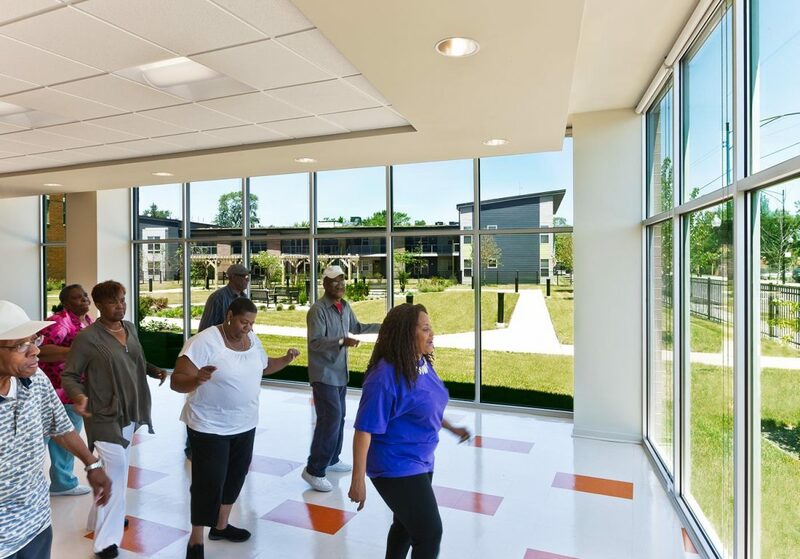 Village Apartments is part of Landon Bone Baker’s Roseland Senior Campus Project that includes a larger Senior ILF (Independent Living Facility), and incorporates an existing 124-unit Assisted Living Facility to create a continuum of care for Roseland seniors. 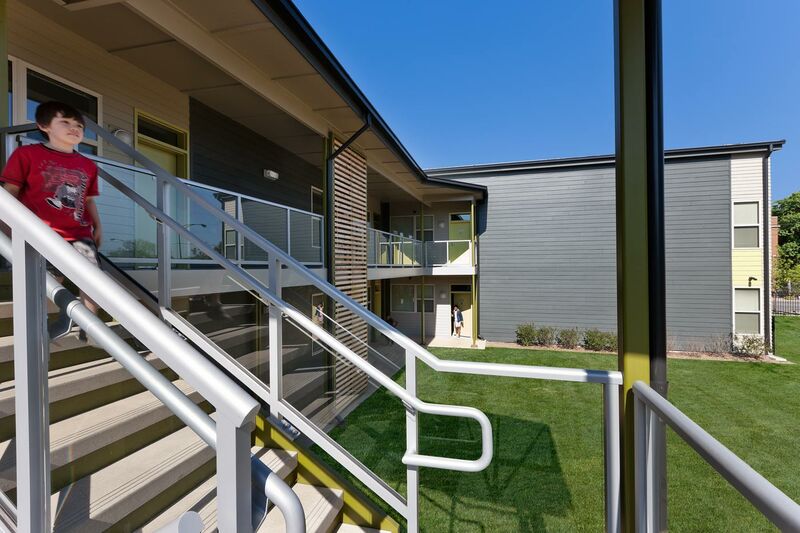 This smaller scale, 14,620 ground square foot grandfamily building is a two-story, 10-unit structure clad with a combination of masonry and multi-width profile cement fiber siding and panels. The grandfamily building nestles in with the ILF building to the south to form the shared garden courtyard. 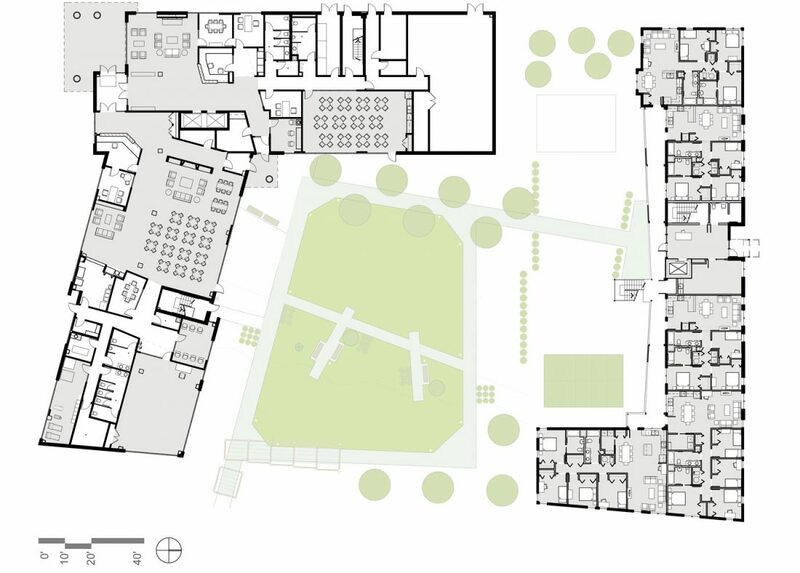 The building is one unit wide with an exterior protected corridor, allowing natural light and ventilation to penetrate from the two sides of each unit. Large windows in all kitchens overlook the garden and play space so grandparents can keep an eye on their grandchildren. Units are generous in size and contain 3 or 4 bedrooms. Open flexible living/dining areas are provided with room for a large table for eating and working on school homework and projects. 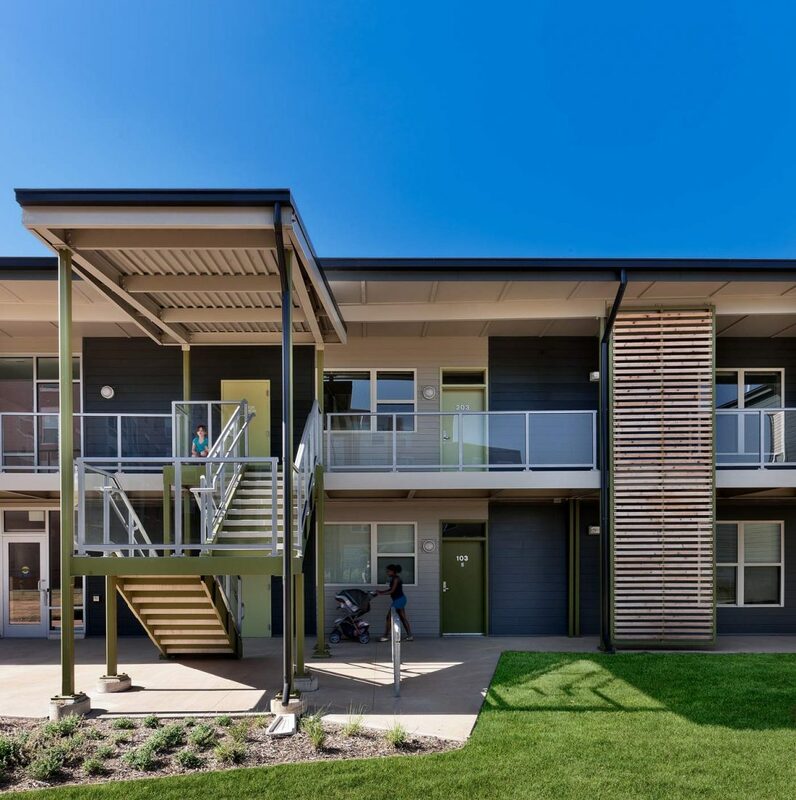 The building was designed with enhanced energy efficiency and utilizes the Illinois DCEO affordable housing energy grant by providing additional insulation, air sealing, energy-efficient mechanical equipment and lighting-all working to reduce utility and operating costs. Roseland Place received 3 stars on the Chicago Green Homes Checklist and completed the city’s Green Permit Process.